Expectant and new mothers can now sport casual day dresses and go about their day while breastfeeding their little one. Mee Mee's Maternity Dresses are made of premium quality fabrics in pretty designs that keep the mothers comfy even while they are travelling. With functional buttons and zippers, these dresses make nursing convenient for new mothers. The kurti has zippers which make it easy for mothers to nurse the baby while on-the-go. Available in many colours, designs and patterns. 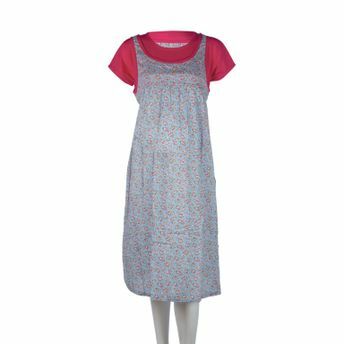 Alternatively, you can also find many more products from the Mee Mee Maternity Dress with Feeding Zipper - Light Pink range.